Test centres in Liverpool have recently undergone an upheaval, with the closing of Garston Liverpool and Garston Speke. Fortunately, Liverpool Speke is now available. 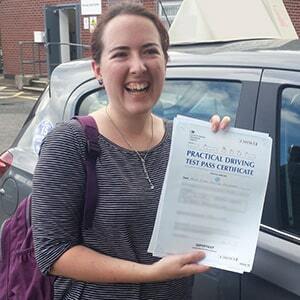 Located on Skyhawk Avenue, near Family Martial Arts and Jersey Beauty Company, this test centre is the go-to option for learner drivers in South Liverpool. If you're heading here for your practical, we'd recommed you get to know it better. Read on for directions, pass rates, test routes and much more about Liverpool. Situated between Garston and Speke, Speke Liverpool test centre is right next to the River Mersey and the A561. It's also not too far from the centre of Liverpool itself, so learners won't have any difficulty with finding it. Not had the chance to visit Speke Liverpool yet? No worries—just follow these directions. In the past, the DVSA offered test routes for each test centre—but this is no longer the case. As such, there is no Speke Liverpool test route available. Though this might throw you a little bit, it’s actually a blessing in disguise. After all, this ensures that you focus on the directions you really need to follow during your test, rather than trying to rack your brain remembering a route you revised earlier. Additionally, your instructor will be more than familiar with the road types and features most likely to appear on your practical test route. As you progress through your course, you'll build up your familiarity with them. Want to see which roads might show up on your test? Check out videos of Speke Liverpool test routes on YouTube. With Speke Liverpool having only opened in September 2018, there's not much information available in the ways of stats. We can, however, give you an idea as to how learners in the UK fare overall. The pass rate for those in the UK stands at 47%. For learners in the North West, chances increase ever so slightly to 47.3%. Don't worry too much about the low pass rate for 2018/19—the year's not over yet! Looking for more stats? Get the full lowdown with PassMeFast’s compilation of driving test pass rates. What If I Can’t Go To Speke Liverpool? Speke Liverpool is one of the many practical test centres available in Merseyside. If you're looking to take your test elsewhere, your nearest alternative is Norris Green. Once you've parked back up a Speke Liverpool test centre, the examiner will give you your feedback sheet detailing any minor or major faults you may have picked up. Successful candidates will get their hands on a test pass certificate and have the chance to send off for their shiny new licence. Not everyone gets it right the first time. What’s important is that you don’t dwell on your mistakes—just learn from them. If you look at your feedback sheet, you’ll be able to figure out which areas you need to work on before you retake your test. PassMeFast can get you back on the road ASAP, by fast-tracking your practical test. Simply give us a call on 0333 123 4949, or contact us online and we’ll get started right away! Keen to get on the road in Liverpool? With an intensive or semi-intensive course, you can get passed weeks or months earlier than you would with traditional driving lessons. PassMeFast has a wide range of driving course packages on offer, each designed to suit learners with different levels of experience. And, with our fast-track practical tests, you don’t have to worry about waiting for a long time to get your hands on that shiny new licence. Get on the road with PassMeFast and take one step closer to becoming a qualified driver. Simply check out our course prices page and call us on 0333 123 4949 to start your driving journey today. Alternatively, you can book a course online yourself. Great service from the the very beginning. Very professional and friendly. Would recommend to anyone.